The Wall Street Journal is the definitive source of business and political information for C-Suite executives. To live up to this statement, the WSJ established the CEO Council, an invitation-only group comprised of the leaders of the world’s largest business organizations. 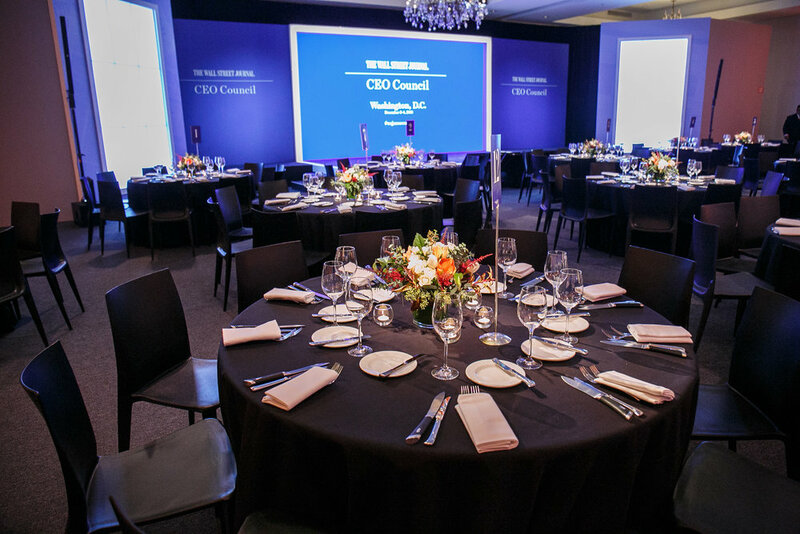 We were engaged to reimagine this exclusive conference experience for their Washington D.C. event. 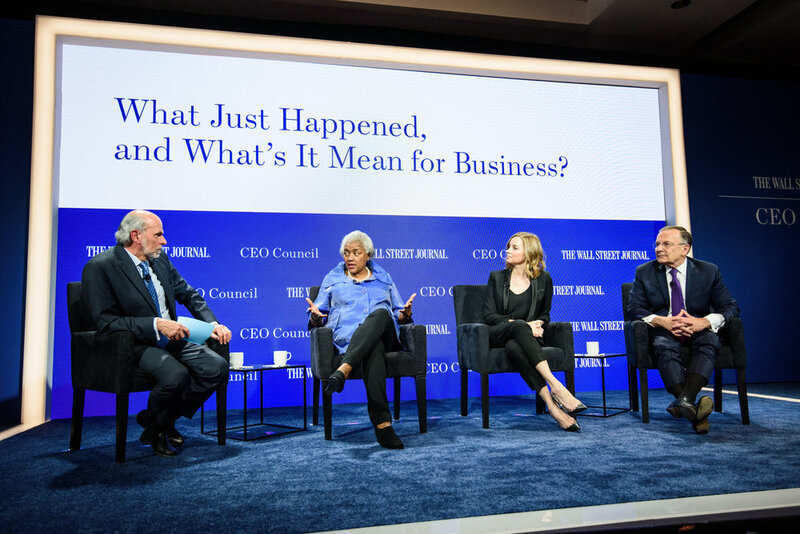 We began by building a new strategic platform on which all CEO Council activity could hinge: we positioned the WSJ as the essential providers of context to business leaders. This manifested in a subtle new design language focused on ‘the frame’: a visual device that allowed us to focus in on the most important information, relationships, touch-points and people. Using this new visual system, we redesigned the registration experience, networking and social environments, and most importantly, the main conference hall (which also hosted our welcome dinner). 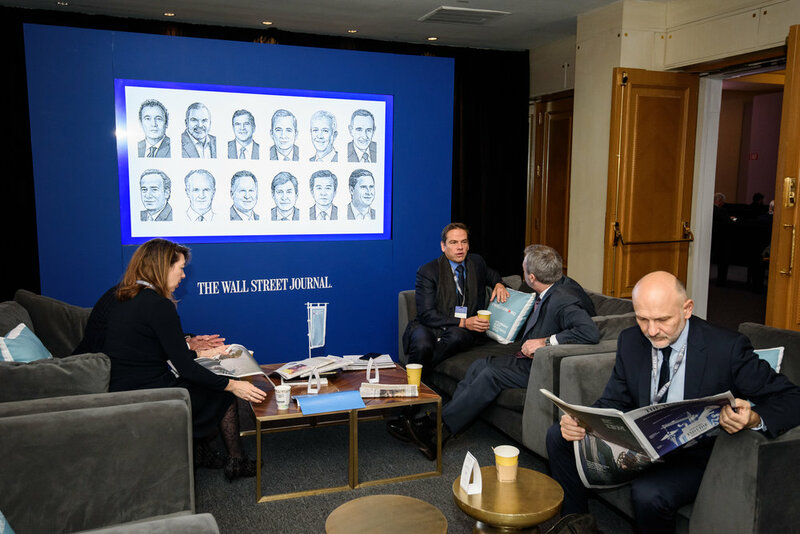 With Washington D.C.’s most influential power brokers both in attendance and speaking on stage, we were able to meaningfully connect the world’s most important business leaders with politicians and strategists, all through the lens of the Wall Street Journal’s esteemed editorial focus.